Editor’s note: Welcome to Pro Growing, The Cannabist’s new commercial cannabis cultivation column. In this series, agriculture expert John Chandler will cover all aspects of growing cannabis for the legalized marketplace — from techniques and trends to compliance and best practices. Chandler understands what is working and what’s not in the marijuana industry. If you’ve got a question for our pro, please let him know — via the email address in his bio below. And remember: Cannabist columnist (and author) Jorge Cervantes answers cultivation questions from readers and noncommercial growers regularly. Those days are quickly ending for those of us in many states, as the commercial cannabis cultivation revolution continues to spread across the nation — most recently in November with eight big wins for legal ganja. When the states that recently voted to legalize adult-use marijuana come online, one in five Americans will have access to legal weed. Simply put, cannabis cultivation is rapidly emerging from the basement. With demand rising and prices falling as cultivations rapidly expand, many serious players are adopting tried-and-true techniques used by Big Agriculture to reduce operating expenses while increasing efficiencies in this new and booming industry. License-holders have to remain price-competitive while navigating an ever-evolving policy landscape, with constantly changing regulations on everything from pesticides to water usage. Due to the increasing size of facilities and the need to operate efficiently and reduce risk of crop failure, many large-scale cultivations are starting to look to professional horticulturists to design and operate their cultivation facilities — myself included. I come to the cannabis world with a background in large-scale organic farming and a degree in horticulture from Texas A&M. Prior to getting into marijuana, I farmed over 300 acres of certified organic produce in the field and in the large hydroponic greenhouses, utilizing proven methodologies of modern horticulture — tissue analysis, precision fertigation, integrated pest management, etc. The truth is, many of the traditional farming practices I have adopted throughout my career can and should be utilized by commercial cannabis growers, too. 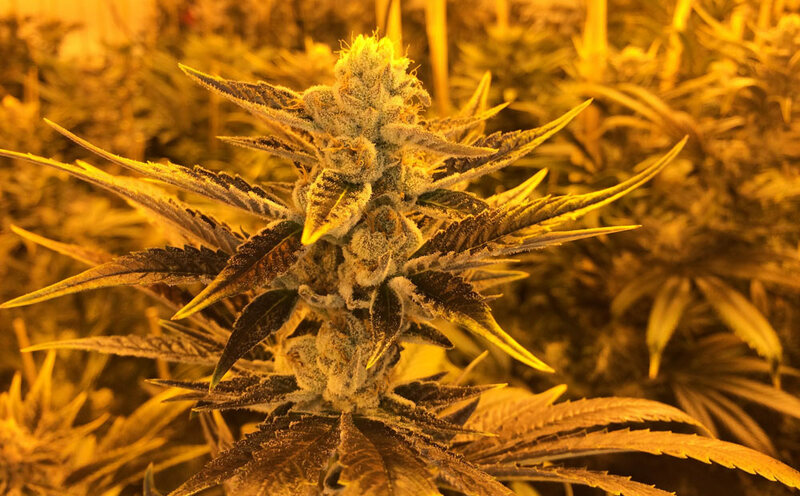 I was able to put these practices in place for three years as the director of cultivation at L’Eagle Services, a highly awarded Denver dispensary committed to organic growing. Since then, I have made it my goal to help make the cannabis industry as environmentally sustainable as possible. I work everyday in various sizes of grows, from 100-light indoor operations to high-tech, five-acre greenhouse ranges. I see many issues: pest problems, nutrient nightmares, labor-intensive designs and complete disasters. When growers are having issues, I find the problem that is being overlooked and institute a solution. I want to bring this knowledge to you so we can have the most efficient, sustainable, compliant industry possible, which is why I am taking on this regular column with The Cannabist. In this space I’ll address cultivation challenges, answer questions, debunk myths and provide practical strategies to today’s commercial cultivators — either those who are experienced but need to scale up for success, or those who are coming online and seeking information about prevention and cures for common problems. I believe it is important to have an honest discussion about how growers implement practices that are environmentally, socially and economically sustainable. From what I see, many growers — especially those who have not had to deal with regulatory oversight until now — have been using go-to methods that are not sustainable and lack efficiency, or they might be downright toxic. Wasteful use of water, inefficient use of labor and dangerous use of chemicals to control pests, are just a few of the factors I assess and advise on when I first enter a marijuana cultivation facility. For example, there are countless reasons why growers need to move away from synthetic pesticides. At the same time, there is reasonable concern about protecting yields from destructive pests. I am an advocate of taking a multi-pronged approach to pest management, thus the term integrated pest management (IPM). The key with using non-synthetic chemicals is applying multiple modes of action (MOA). One of the unique aspects of working with a crop that is still federally illegal is that it cannot cross state lines; As such, each state has to come up with its own rules and oversight, as well as manage its own supply and demand. Every state has its own set of regulatory mandates and growing conditions to negotiate, including lighting (indoor or greenhouse), water temperature, wastewater management, humidity, pests and pest management, lab test requirements and energy use. There is a lot to discuss about how to deal with challenges and opportunities presented within each state with a medical marijuana or adult-use program. Marijuana as a business is growing up and growing fast. Eight more states said yes to legal medical or recreational marijuana last month, and the industry is projected to grow into a $20.6 billion dollar behemoth by 2020. If cultivators want to remain competitive and continue to grow their business during this period of rapid expansion, it’s extremely important to adopt the best practices of traditional horticulture. This means applying large-scale agricultural practices while still seeking to produce the finest smoke around. There will certainly be many questions to address in the coming years, and I look forward to taking this journey with you. I believe it all starts with the plant, and the less stress on the plant, the less stressed out you will be when it comes to running your licensed cannabis cultivations successfully. I am here to help. If you have specific questions about commercial cannabis cultivation you want answered in a future column, you can reach me at chandlermedia@urban-gro.com.